When I was reconnoitring a ‘Country Houses of Wiltshire’ tour some years ago, I was particularly kindly treated by Nigel Tuersley, who was then coming to the end of his magnificent renovation of James Paine’s Wardour Castle, near Tisbury. Nigel has a distinctive career-trajectory – ecologist turned property-developer – with a particular love of Georgian architecture. He took over this 75-room Georgian house, that had previously been used by Cranbourne Chase School and was built in 1770-1776 for the 8th Lord Arundell, and converted it into ten apartments, the biggest of which, in the rustic and piano nobile floors of the central block, he occupied with his wife and two children. To resolve the dilemma of decorating and furnishing the vast rooms with their 24-foot ceilings designed by the most understated of Georgian architects, Nigel Tuersley commissioned the minimalist architect John Pawson to design his apartment. When Nigel gave me free rein to photograph the place I had to use ambient light, simply because I couldn’t find the light switches. When subsequently he allowed me to take not one but two groups of Nottingham University adult-education students to visit, he challenged us to find them. They were concealed in the architraves of the doorcases. Pawson’s intention, throughout the house, is to retain the smooth lines of Paine’s classical minimalism. Bathrooms are grand rooms within grand rooms, and the kitchen contains everything you’d expect to find, though not necessarily where you’d look for it. Nigel Tuersley has now moved out of Wardour Castle, and it belongs to Jasper Conran, who comes from a noted design dynasty. 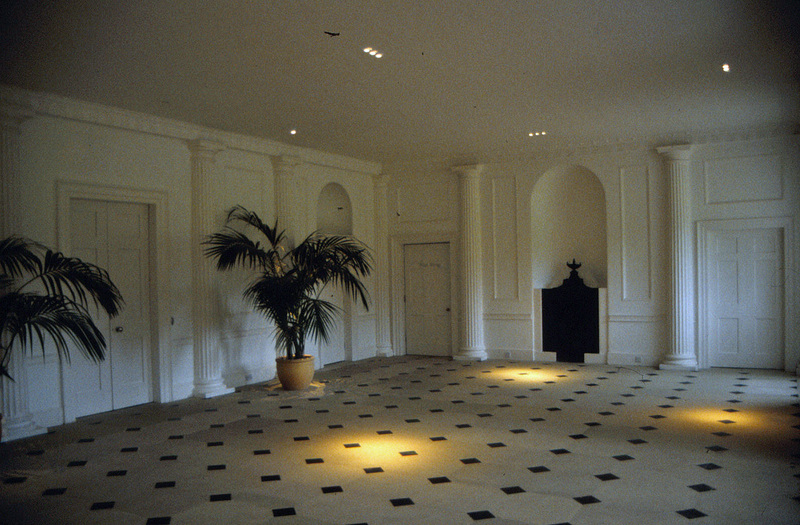 The house, which Nikolaus Pevsner described as “the most glorious Georgian interior of Wiltshire”, attracts a succession of careful owners. Wardour Castle is private, and is not open to the public. Wardour Castle is one of the houses featured in Mike Higginbottom’s lecture English Country Houses – not quite what they seem. For further details, please click here. This entry was posted in Country Houses, English Country Houses – not quite what they seem on December 29, 2013 by Mike Higginbottom. The interwar rescuer of Gregory Gregory’s vast Harlaxton Manor was as formidable and eccentric as the building – the English daughter of a coal porter and a washerwoman who invented Shavex, the first brushless shaving cream, Mrs Violet Van der Elst (1882-1966), the widow of a Belgian artist. A succession of Gregory’s descendants had inherited this unforgiving pile and, with varying degrees of success, tried to live in it. When Thomas Sherwin Pearson Gregory died in 1935 his son put it on the market with 500 acres “or as required”: 80 bedrooms are mentioned, though there was only one bathroom. Jackson Stops & Staff’s plaintive advertisement in The Times – “To save from demolition…noble ancestral seat…probably the supreme example of domestic architecture of its period” – ignored the possibility that Salvin and Burn’s architecture was so substantial that demolition would be uneconomic. Mrs Van der Elst paid £78,000 for the building and its surrounding land, renamed it “Grantham Castle”, vigorously modernised the plumbing and installed electricity on a suitably grand scale, and was invariably to be found at the great country-house sales of the time – Clumber, Rufford and so on – picking up furnishings, fixtures and fittings at bargain prices. She made the estate an animal sanctuary, extending her protection even to the domestic mice in the Manor. A glimpse of the house in Mrs Van der Elst’s day exists as a 1939 Pathé newsreel clip: http://www.britishpathe.com/video/grantham-castle. She was famed for her vehement campaigns against capital punishment, regularly turning up in her Rolls Royce outside prisons at the time of an execution. She also made a practice of holding séances to contact her dead husband, and kept his ashes in an urn in the library, a dark, low room dominated by antique barley-sugar wooden columns. Having shared the building with the RAF First Airborne Division during the Second World War, Mrs Van der Elst ran out of money and sold the house in 1948 for only £60,000. When the house contents were auctioned Mr Van der Elst’s ashes were accidentally knocked down to an unsuspecting bidder and had to be discreetly retrieved. The manor passed successively to the Society of Jesus, the University of Stanford, California, and then the University of Evansville, Indiana, who use it as their English campus. Harlaxton Manor features in Mike Higginbottom’s lecture English Country Houses – not quite what they seem. For further details, please click here. The 40-page, A4 handbook for the recent tour Country Houses of Lincolnshire, with text, photographs, maps, a chronology and a reading list, is available for purchase, price £15.00 including postage and packing. It contains chapters on Boothby Pagnell Manor House, Ellys Manor House, Belton House, Grimsthorpe Castle, Fulbeck Hall, Fulbeck Manor, Leadenham House, Harlaxton Manor and Stoke Rochford Hall. To view sample pages click here. Please send a cheque, payable to Mike Higginbottom, to 63 Vivian Road, Sheffield, S5 6WJ. This entry was posted in Country Houses, Country Houses of Lincolnshire, English Country Houses – not quite what they seem, Victorian Architecture on December 27, 2013 by Mike Higginbottom. Harlaxton Manor is an exciting place to visit, yet most travellers only glimpse it as an astonishing vista to the south of the A607 Grantham-Melton Mowbray road. Harlaxton is an exceptionally exciting building, designed between 1831 and 1837 by Anthony Salvin and William Burn for the eccentric bachelor Gregory Gregory (1786-1854), whose name is commemorated in Nottingham’s Gregory Boulevard, developed on one of his six landed estates. Gregory Gregory’s intention in building such a huge house seems to have been first, to house his extensive art collection, and second to spite his heir, a distant cousin. The result is a fascinating mixture of dramatic baroque interiors such as the Great Hall and Cedar Staircase and Victorian ingenuity – hidden doors so that the servants literally appeared out of the woodwork and an indoor railway viaduct to deliver coal by gravity to each floor. In the spirit of the baroque theme, illusions abound. The Cedar Staircase is nowhere near as high as it looks, and materials are not what they seem – wood turns out to be plaster, and what looks like solid plaster actually moves. Room stewards will be available on Open House Day to explain the history of this strange building. I’ve taken numerous groups to Harlaxton over the past twenty-three years, including one group of jaded teachers on a Friday-night near-the-end-of-term mystery tour. As the coach trundled across the park in the summer evening, it seemed as if every window of the Manor glowed. One lady (not a historian) thought she was at Disneyland. 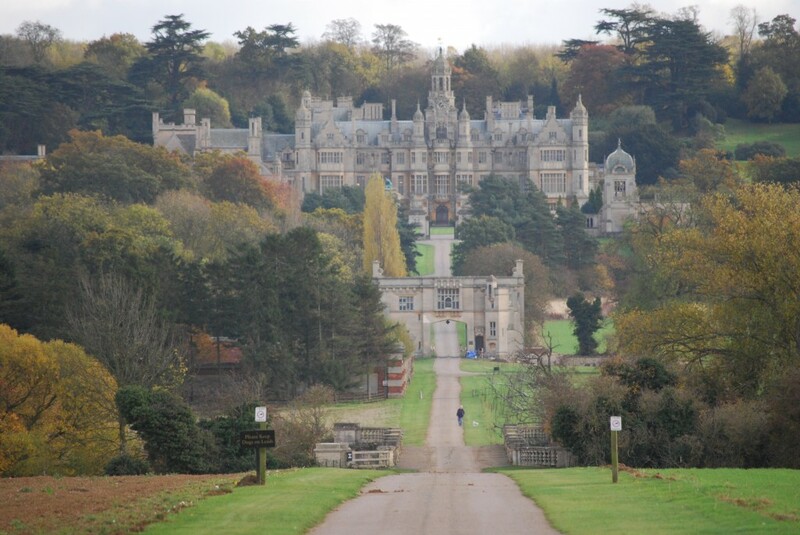 Harlaxton Manor is well cared for by the University of Evansville, Indiana, who use it as their British campus. The college website is at http://www.ueharlax.ac.uk/about_us/index.cfm. The 40-page, A4 handbook for the 2010 tour Country Houses of Lincolnshire, with text, photographs, maps, a chronology and a reading list, is available for purchase, price £15.00 including postage and packing. It contains chapters on Boothby Pagnell Manor House, Ellys Manor House, Belton House, Grimsthorpe Castle, Fulbeck Hall, Fulbeck Manor, Leadenham House, Harlaxton Manor and Stoke Rochford Hall. To view sample pages click here. Please send a cheque, payable to Mike Higginbottom, to 63 Vivian Road, Sheffield, S5 6WJ. This entry was posted in Country Houses, Country Houses of Lincolnshire, English Country Houses – not quite what they seem, Victorian Architecture on December 26, 2013 by Mike Higginbottom. The eccentricities of the “burrowing” fifth Duke of Portland seem endless, and by no means all of the stories are true. He was distinctive among his contemporaries for providing the very latest conveniences for his guests, even though he rarely entertained, and notoriously kept out of his guests’ way. 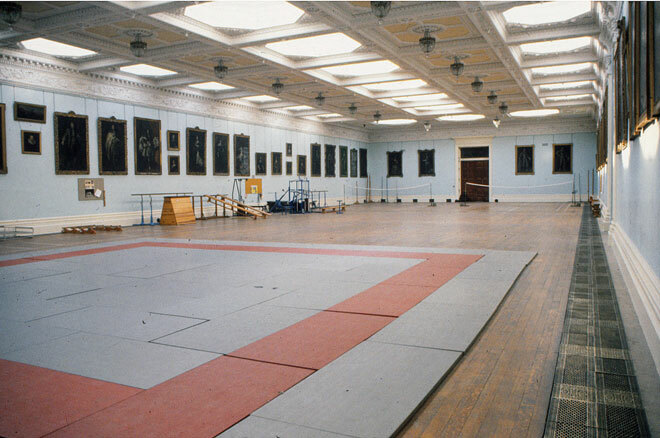 One of his most grandiose improvements to Welbeck Abbey was the vast ballroom 154 feet by 64 feet, entirely sunk below ground and top-lit by bull’s-eye domes, well-lit, centrally heated and not at all damp. On arrival for a ball at Welbeck, guests were conveyed down to the ballroom, still in their carriages, by hydraulic lift to a gently-graded inclined tunnel leading them to the dance-floor. However, the fifth Duke never gave a ball, and the gas-lit splendour only came into its own when the sixth Duke, a distant cousin who never met his predecessor, inherited in 1870. The most recent, authoritative and succinct account of the fifth Duke’s life and works is Derek Adlam, Tunnel Vision: the enigmatic 5th Duke of Portland (Harley Gallery 2013), which contains the full text of Elizabeth Butler’s Account of her life as a laundry maid at Welbeck, 1869-1879 (1931). Nina Slingsby-Smith’s memoir of her father, George: Memoirs of a Gentleman’s Gentleman (Cape 1984 – out of print but available second-hand on Amazon), wonderfully captures the atmosphere of life above and below stairs at Welbeck in the sixth Duke’s time. It includes a memorable story of an incident at dinner, when a luckless footman’s humanitarian dilemma nearly lost him his job, until King Edward VII saw the funny side: the tale is far too good to spoil – seek it out on page 70 onwards. 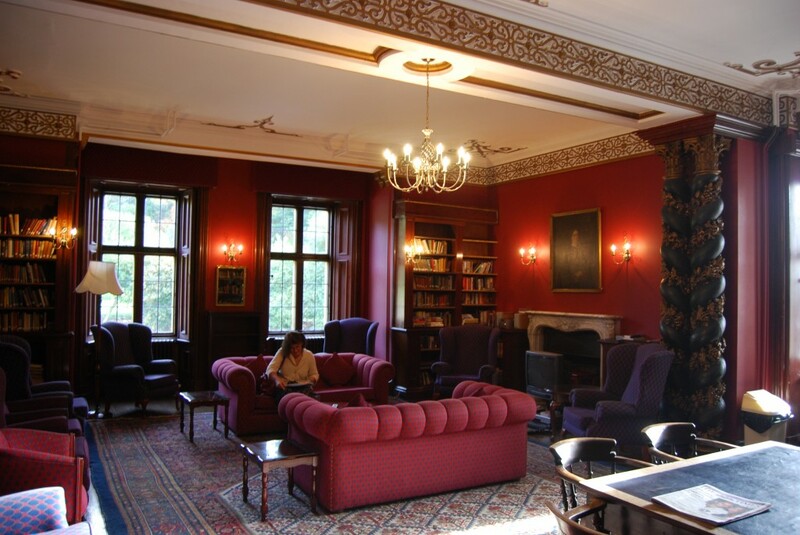 Guided tours of the State Rooms (but not the underground rooms) are bookable in advance: http://www.welbeck.co.uk/experience/visit/welbeck-abbey-state-room-tours. Welbeck Abbey is one of the houses featured in Mike Higginbottom’s lecture English Country Houses – not quite what they seem. For further details, please click here. This entry was posted in Country Houses, English Country Houses – not quite what they seem, Victorian Architecture on December 25, 2013 by Mike Higginbottom. The two railways at Harlaxton Manor and Stoke Rochford Hall are by no means the only examples of large country houses using rail transport to shift fuel, food, luggage and laundry around the capacious service wings. Belton House [http://www.nationaltrust.org.uk/main/w-vh/w-visits/w-findaplace/w-beltonhouse.htm], on the other side of Grantham from Harlaxton and Stoke Rochford (and not included in my 2010 tour), has a hand-propelled railway, installed in the 1930s, connecting the kitchen in the courtyard with the basement of the main house. Haddon Hall [http://www.haddonhall.co.uk/], near Bakewell in Derbyshire, was made habitable from 1912 onwards by the then Marquis of Granby, later the 9th Duke of Rutland. Bringing the fully-fitted seventeenth-century kitchen into any kind of modern use was impractical, so a new kitchen was constructed in outbuildings a couple of hundred yards away. This is now the tearoom for visitors to Haddon: one end of the cable-operated railway can be seen inside the tearoom entrance; the other is customarily hidden behind a dresser opposite the entrance to the medieval kitchen which forms part of the house tour. The tunnel itself is blocked as a fire-precaution, but interested visitors are invited to ask a room-steward to show the remains of the railway within the medieval kitchen. 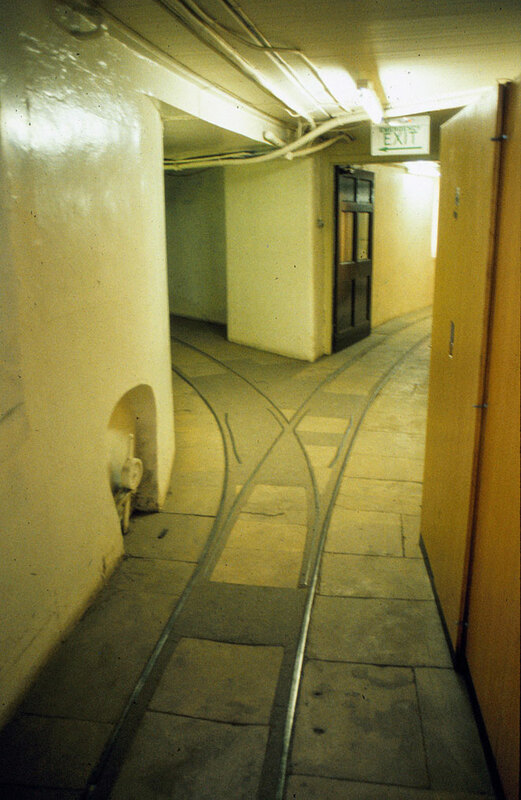 Most celebrated of all, but least seen, is the 5th Duke of Portland’s rail system in the cellars of Welbeck Abbey, Nottinghamshire. The “burrowing” Duke went to enormous lengths to live his later life out of sight of his servants, visitors and the world at large. The railway, with hand-propelled carts, one of which was heated and served as a grand Victorian predecessor of the 1950s hostess trolley, operated in combination with the technologically up-to-the-minute hydraulic lifts, to streamline domestic freight in the Abbey, and to enable His Grace to order food fast. When in residence he had a standing order for chicken to be roasting twenty-four hours a day, and to avoid speaking to his servants he customarily sent his orders – “I shall only want rice pudding at one” – by means of twin letterboxes on the door of his suite in the west wing. Welbeck Abbey is not open to the general public. Welbeck Abbey and Harlaxton Manor feature in Mike Higginbottom’s lecture English Country Houses – not quite what they seem. For further details, please click here. This entry was posted in Country Houses, English Country Houses – not quite what they seem on December 25, 2013 by Mike Higginbottom.